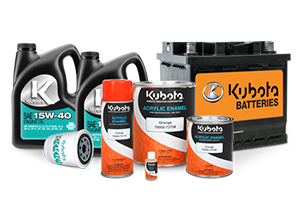 It pays to keep your Kubota running like new with Kubota Genuine Parts. Kubota parts are designed and engineered to original factory specifications to keep your equipment operating at peak Kubota performance. And with our industry-leading parts availability, you can be confident that Capital City Kubota parts specialists will be able to quickly supply any part you need. Being an exclusive, full-service Kubota dealer allows us to offer you the best equipment, prices and service available. 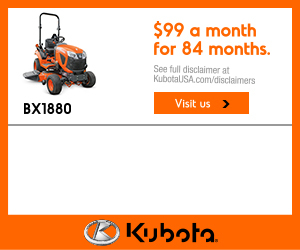 After the sale, our Kubota-trained technicians provide superior care of your equipment. They know Kubota inside and out, and are highly familiar with other makes as well. They possess the knowledge and experience to perform expert maintenance and repairs, and continuing education means they’re always up on the latest technologies and solutions. Extend the life of your investment by following a recommended maintenance schedule and insisting on certified Kubota service. Trust out Kubota-trained technicians to keep your Kubota running and as productive as the first day you fired it up.